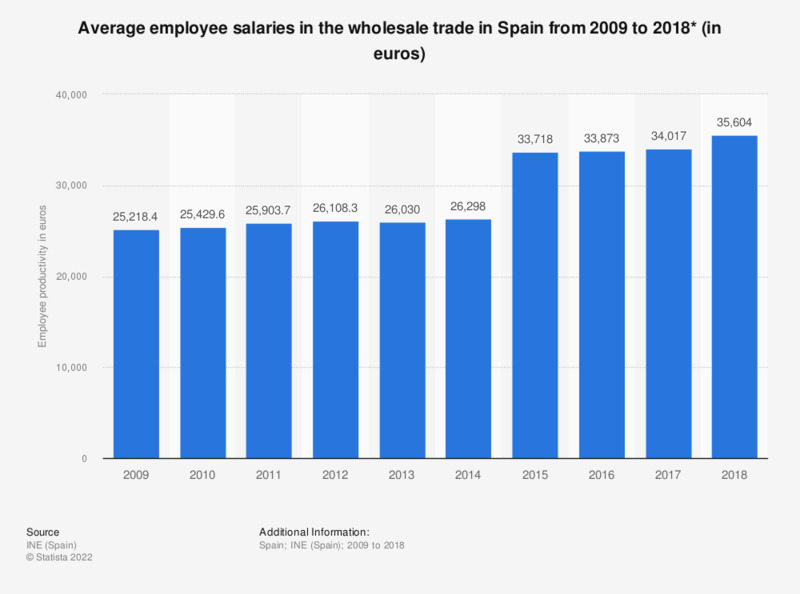 This statistic represents the average salaries of employees working in the wholesale trade in Spain between 2009 and 2016. With the exception of the year 2013, the average employee's salary increased each year over the time period in question. In 2016, the average employee's salary was approximately 34 thousand euros. *Figures exclude motor vehicles and motorcycles.